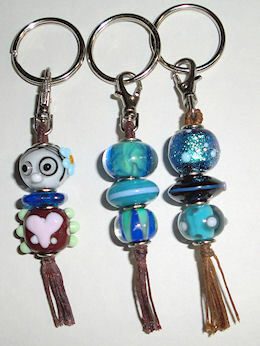 I sold some key chains and key finders at the last craft show. Thought I’d make more up for the next one. 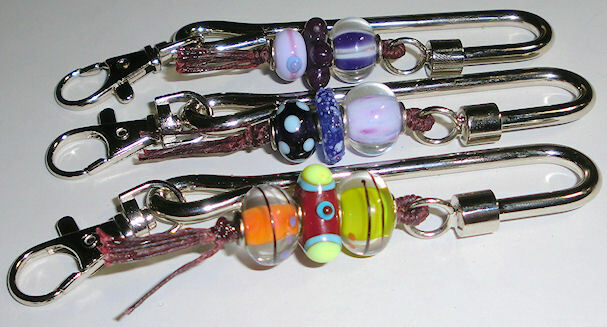 Key Finders – These hang off the side of a purse so the beads hang on the outside. Regular key chains. I have to make more zombie girl beads.